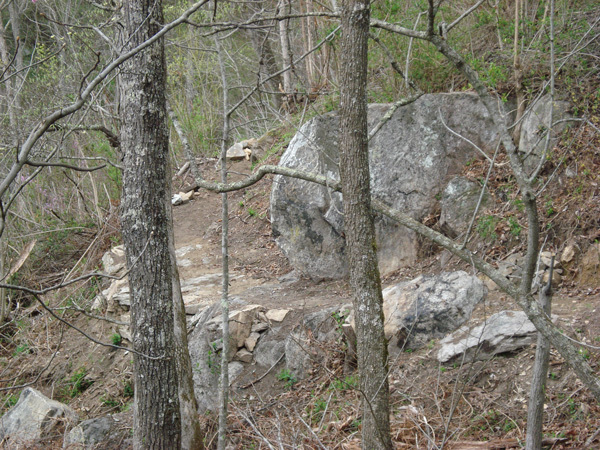 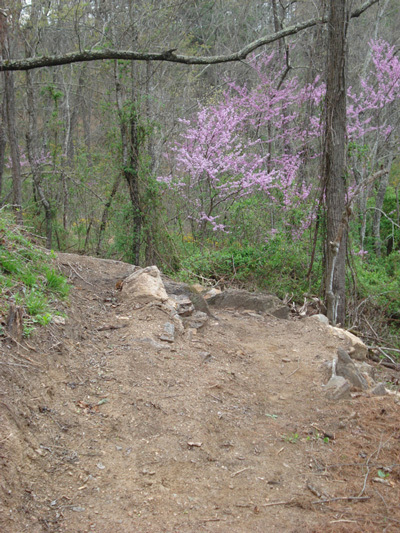 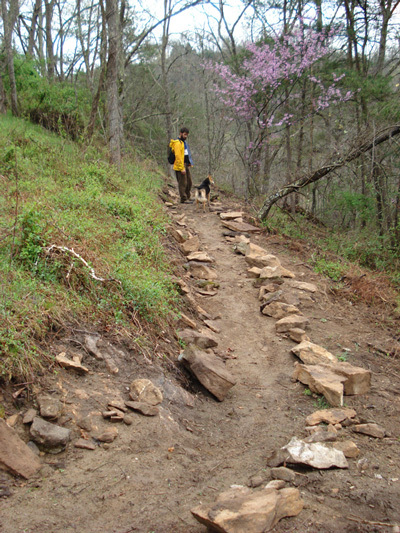 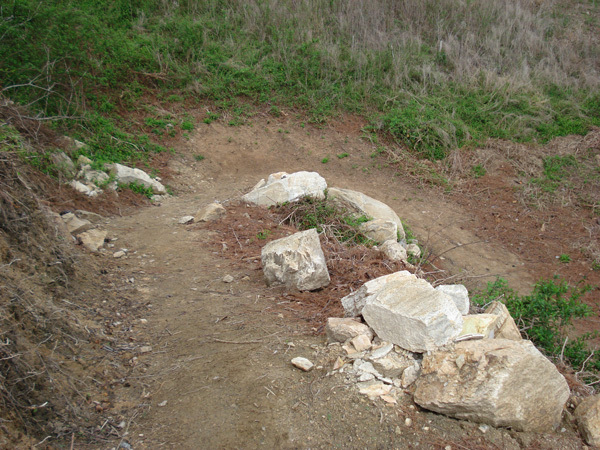 Construction of 4 miles of new trail with rolling hills allowing for plenty of jumps and short, grunt uphill sections. 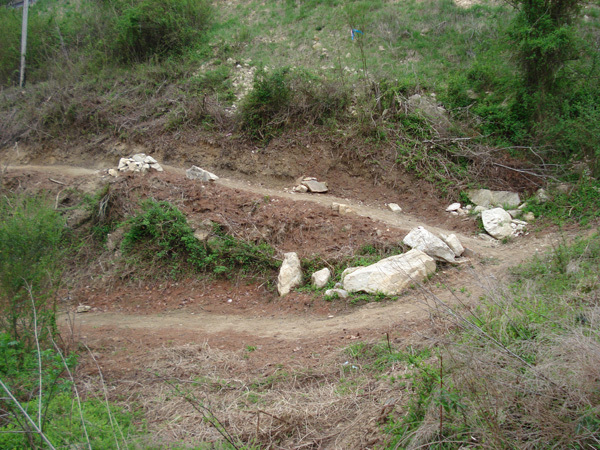 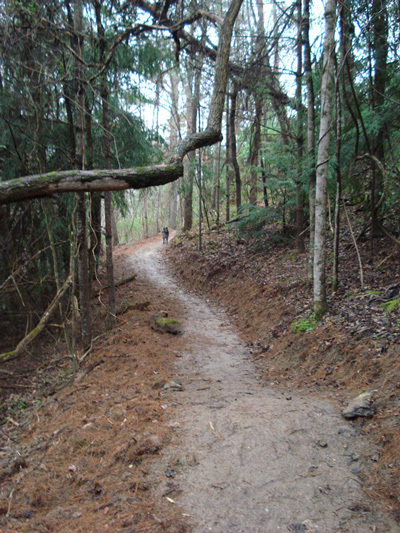 Lots of narrow hand-benched singletrack. 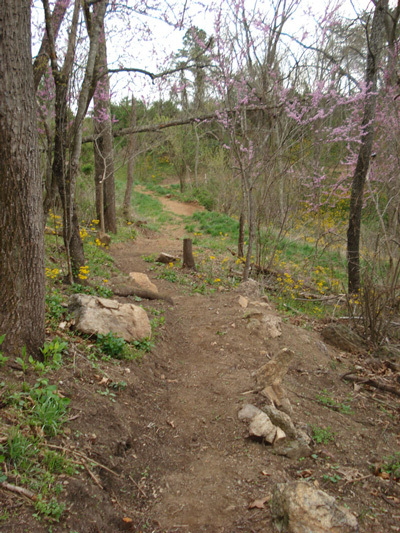 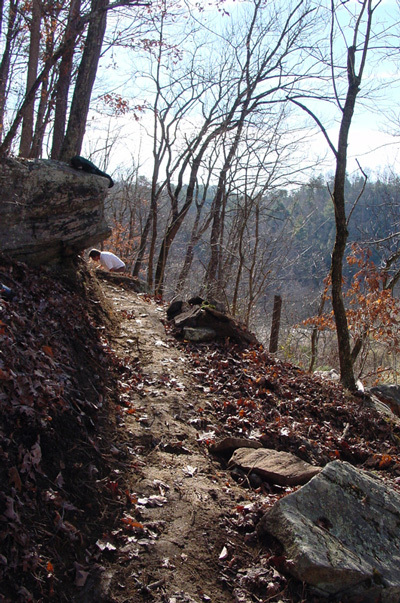 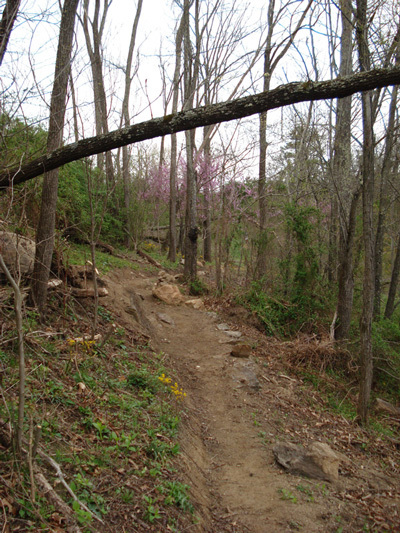 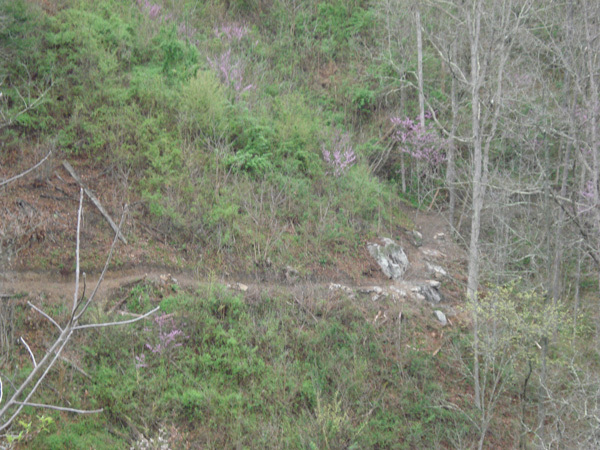 Built on land bordering the Buncombe County Landfill, Long Cane Trails did an excellent job of hiding that fact and accenting the trail with beautiful overlooks of the French Broad River. 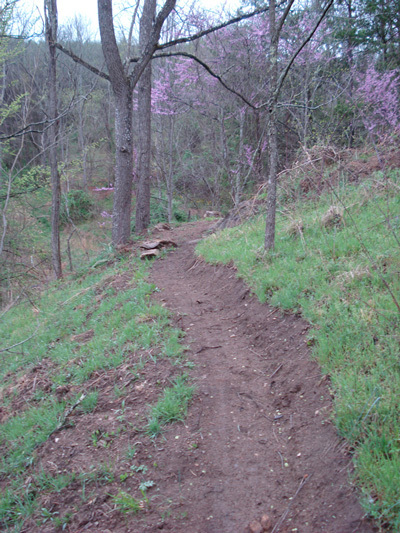 This was run as a hybrid project in that volunteers were responsible for doing a lot of the pre and post machine work.